Happy National Kids and Pets Day! Now, this is a day I can really enjoy. Two of my favorite things in life are dogs and children. Truly. I know some people think I’m crazy, but I love the freedom that both kids and pets have. 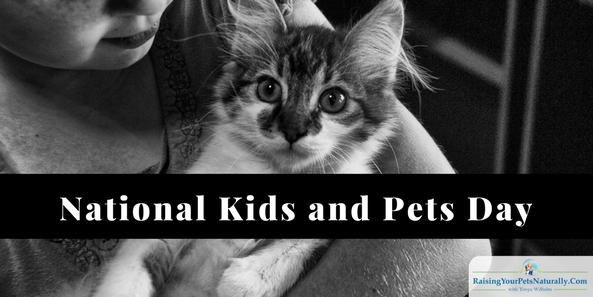 Today is a day to celebrate the bond between children and dogs, cats, or any other pet. It is also a day to remember and promote safety between the two species. Take today as a day to do a little research on how to teach kids and pets to live safety with one another. Do you have kids and pets? Tell me in the comments. Absolutely! They are my fondest memories. I don’t have kids, but my Boys certainly draw them to us everywhere we go. I love that fact that they are uberly gentle and patient. Nice post – take care. Thanks. Me either, and Dexter too. They just connect so well.